Swindon signed one of their most loyal servants from Chesterfield in 1932, when Harry Cousins made the move south. 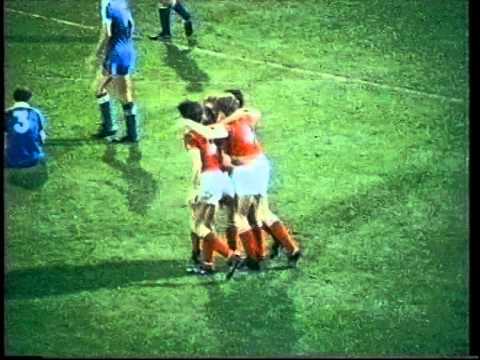 Cousins played for the Town right up until 1947, before moving onto the coaching staff, and he stayed at the County Ground until his retirement in 1975. 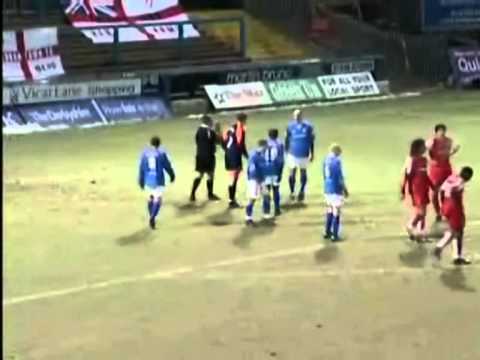 Cousins was in the Town's line-up for the first meeting with his former club, two-an-a-half years after he joined, the Town winning the Third Round FA Cup tie by two goals to one. 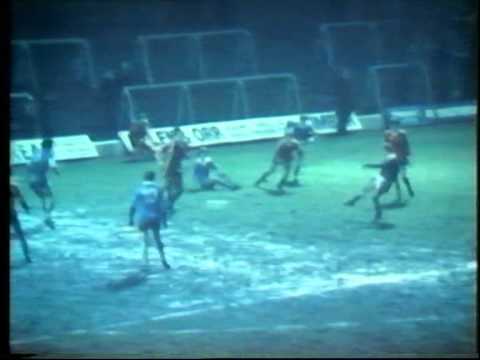 A Colin Tartt own goal puts Swindon into the lead at Saltergate, but second half goals from Alan Birch and Phil Bonnyman put the Spireites into the Division Three promotion places. 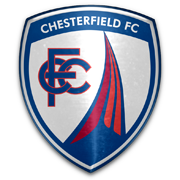 Though the Town take the lead midway through the first half through a fine Bryan Hughes strike, Chesterfield come from behind to win 2-1 at the County Ground. 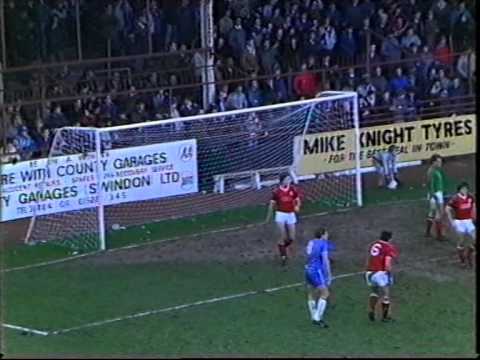 Swindon lose their second home game on the bounce - Chesterfield coming back to win after a superb Paul Batty opener. 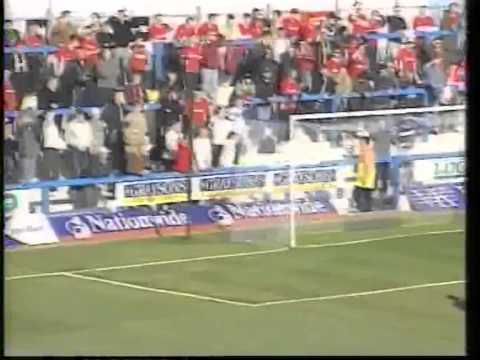 A young Kevin Davies opens the scoring for Chesterfield - then when Darren Carr throws an arm at Wayne O'Sullivan right in front of the South Stand, the atmosphere threatens to get out of control. Town defender Alan Reeves faces his brother David - and David's side come out well on top - the Town humbled 4-0. 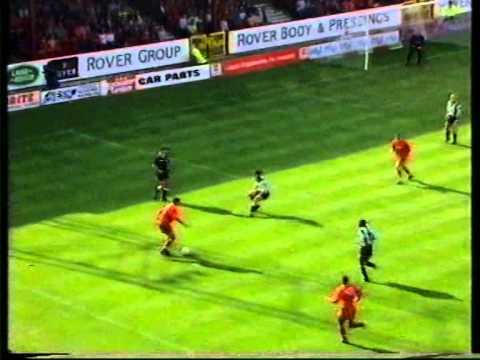 Alan Reeves' goal just past the hour wins the match for the Town. The Town are early League leaders, after a superb first half performance gives them an unassailable lead at Saltergate, eventually running out 4-2 victors. 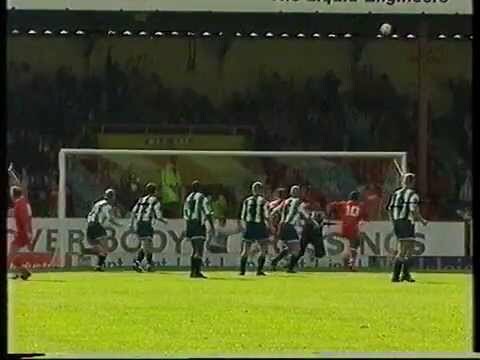 Alan Reeves gets some revenge over his brother for his goal in a 4-0 thumping the previous season - netting the final goal in the Town's 3-0 victory. 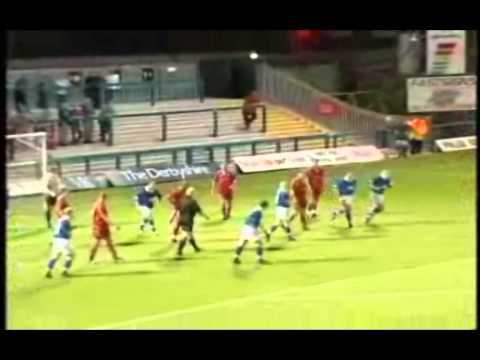 Swindon are thumped 3-0 at Saltergate. Sean O'Hanlon nets his first goal for the club in a 2-0 win over Chesterfield. 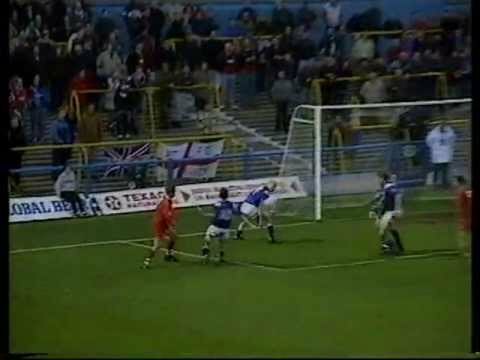 Former Town man Wayne Allison heads home the only goal of the game. 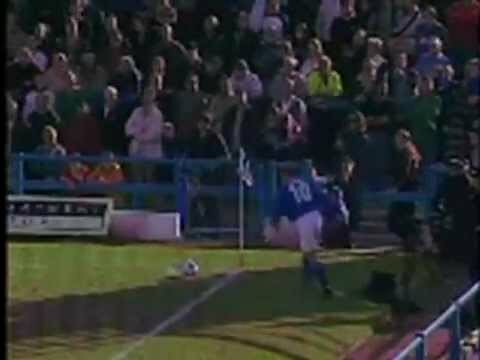 Super Sammy Parkin bids farewell - but his goal in his final game before joining Ipswich is cancelled out by Tcham N'Toya. Hameur Bouazza's penalty gives the Town a point at play-off chasing Chesterfield. 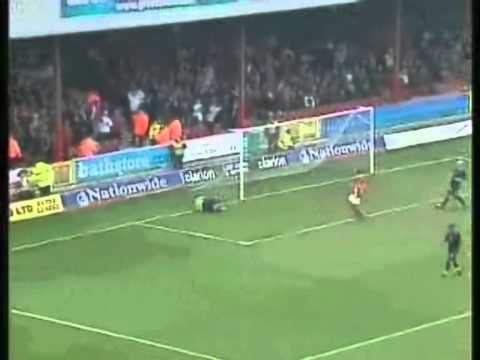 Jamie Cureton nets a double to give the Town some hope - with seven games remaining, the Town are second from bottom, but just a point from safety. 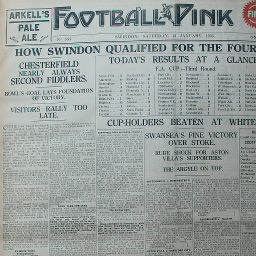 Click to view a newspaper report of Swindon's 2-1 win against Chesterfield in the 1934-1935 season. 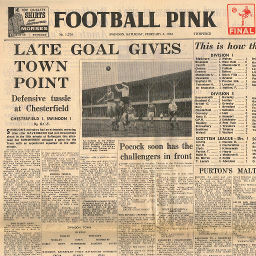 Click to view a newspaper report of Swindon's 3-1 win at Chesterfield in the 1958-1959 season. 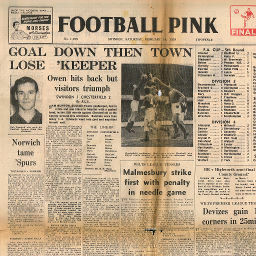 Click to view a newspaper report of Swindon's 1-2 defeat against Chesterfield in the 1958-1959 season. Saturday, September 26, 1959 DARCY ROCKETS TOWN AHEAD IN TWO MIN. 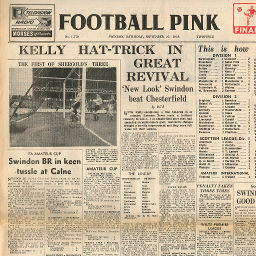 Click to view a newspaper report of Swindon's 3-1 win at Chesterfield in the 1959-1960 season. 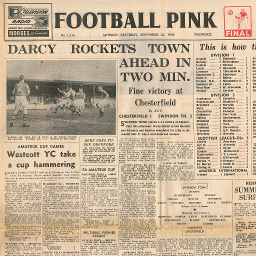 Click to view a newspaper report of Swindon's 1-1 draw against Chesterfield in the 1959-1960 season. 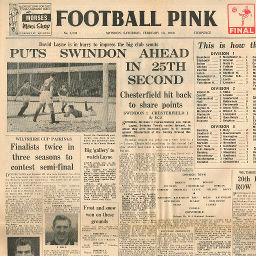 Click to view a newspaper report of Swindon's 2-0 win against Chesterfield in the 1960-1961 season. 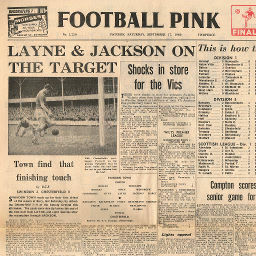 Click to view a newspaper report of Swindon's 1-1 draw at Chesterfield in the 1960-1961 season. 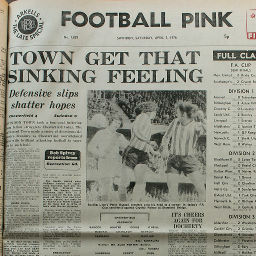 Click to view a newspaper report of Swindon's 0-1 defeat against Chesterfield in the 1975-1976 season. 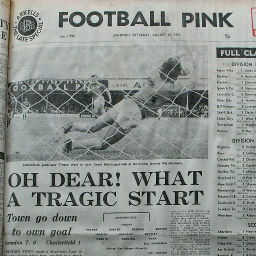 Click to view a newspaper report of Swindon's 0-4 defeat at Chesterfield in the 1975-1976 season. 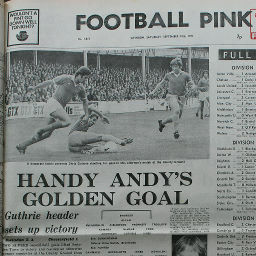 Click to view a newspaper report of Swindon's 1-0 win at Chesterfield in the 1976-1977 season. 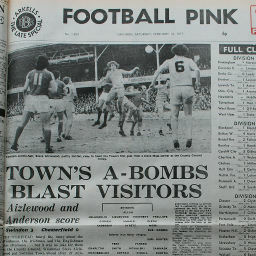 Click to view a newspaper report of Swindon's 3-0 win against Chesterfield in the 1976-1977 season. 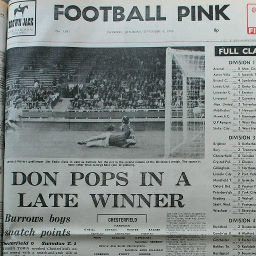 Click to view a newspaper report of Swindon's 2-1 win against Chesterfield in the 1977-1978 season.